With solids handling capabilities of up to 100mm and indefinite dry running ability, the Selwood Seltorque range of vortex pumps form the foundation upon which the company's international reputation has been built. One of Selwood's original pump designs, its simplicity offers easy operation and unparalled reliability coupled with inherent safety. The environmentally friendly Seltorque range has the unique Selprime automatic air pump priming system together with an oil immersed mechanical seal enabling them to operate in the most arduous of circumstances encountered in the construction, mining and municipal industries. 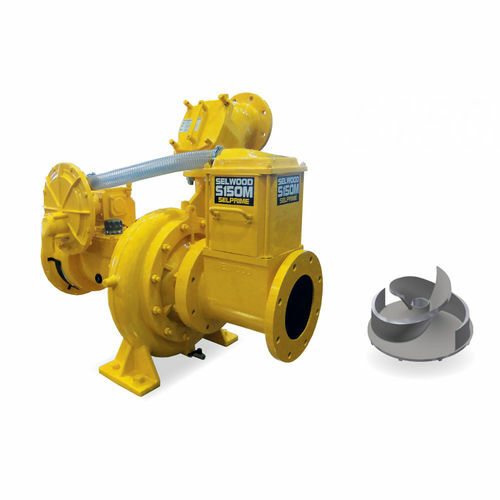 These pumps offer completely automatic priming from depths of 9.1 metres (30 feet) and unequalled performance in effluent disposal and slurry handling. The pumps are available with a choice of builds having a wide range of both engine and chassis options. Super Silent versions are also available with noise levels from as low as 62db(A).